The marble bust of Zheng He shows the face of a typical Chinese, with a square chin, brushy eyebrows and a flat nose. My father joked it more resembled comrade Lei Feng than the admiral. Not until years later did I realise how true this was. 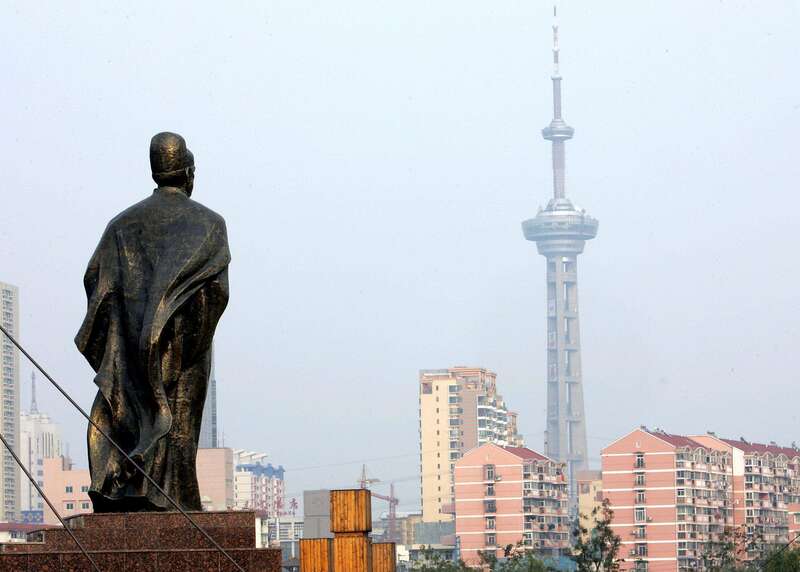 The statue was erected in 1979 – a year after Deng Xiaoping (鄧小平) launched his open-door policy. Zheng, barely mentioned during the Cultural Revolution, was plucked from obscurity and hailed as a national hero who embodied China’s open spirit. A park near his ancestral home was dedicated to him. The same craftsmen who churned out revolutionary statues were employed to build his. A crowning moment of Zheng’s expedition was converting the King of Malacca, Parameswara, to Islam shortly after he paid homage to the Yongle Emperor in Beijing in 1411. The conversion played a crucial role in the spread of Islam in Southeast Asia, according to Professor Xiao Xian of Yunnan University.